200ml. Photo HP Colour ink cartridge refill kit (200ml. bottles each of Photo Black, Cyan, Magenta & Yellow ink). Detailed instructions & diagrams, all essential refill tools, top quality contaminant free ink for optimum printer performance and picture clarity. 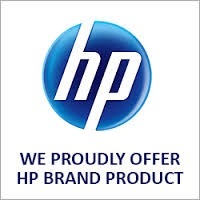 HP genuine number, #, 564, 564XL, colour ink cartridges require 5 or 10ml. of ink to refill depending on the cartridge part number. Refilling your own HP genuine 564 ink cartridges is not rocket science, the most simple rule is inject the ink slowly. Suitable for use in HP inkjet printers models Photosmart, B109A, B111a, B8550, B8553, B8558, C309a, C310a, C410a, C510a, C5324, C5370, C5373, C5380, C6375, C5388, C5390, C5393, C5460, C6300, C6324, C6375, C6380, D5460, D5463, D5468, D7560, 7510.